Well,at least you were satisfied with the creature effects right? No wtf moment. Thanks boss,trying to get an answer since yesterday. I don't remember hating any of them but unless it's noticeably bad, I don't really get bothered. It's busy, stuff get's lost in the tide unfortunately. The CGI is good and not distracting. I read the audience reviews from imdb and at least the majority of those seem very positive. .it's sometimes more interesting to read reviews from more casual fans. .people who don't have so much invested in the franchise as we do. . Thank you SyntaX...still i think it was wrong to show unfinished cgi on trailers. Im not a cgi freak,my favourite movie is Carpender's The Thing...but i was a little worried. I prefer Prometheus because i hate what Ridley did mixing Prometheus with Alien. It doesn´t works well and we don´t have Engineers. He erased them from this sequel of Prometheus. The 3 act it´s rushed, he takes so much from Alien (closing doors), but rushed, and i hate the CGI Xeno (looks fake, looks more like an Alien 3 than the Giger design, it moves fast, so fast, like the third act of the movie. I hate the fast growth of the Xeno and the fast gestation of the Alien Burster or how fast a facehugger could infect you. I prefer what they did with the Engineer on Prometheus, real man with make up. I don´t like the Oram dialogues, some of the them are overplanation of his character (like Christopher Nolan did with Interestellar). and i can´t believe how fast Daniels change on what she feels. It looks like a copy of Prometheus (ring/necklace). I like David, but when he appears the rest of the cast suffers so much and i lost interest in them. There are some stupid things like Prometheus, but in Prometheus they created new concepts, they surprised us and in this movie Ridley it´s trying to give to Alien fans what they want in the third act.
. I think it could be a better movie if Ridley only showed us Neomorphs and Engineers. And then, later, show how the Engineers created the Alien (maybe in the next movie). By the way, i saw the Arnold Blöklin reference on the David temple. 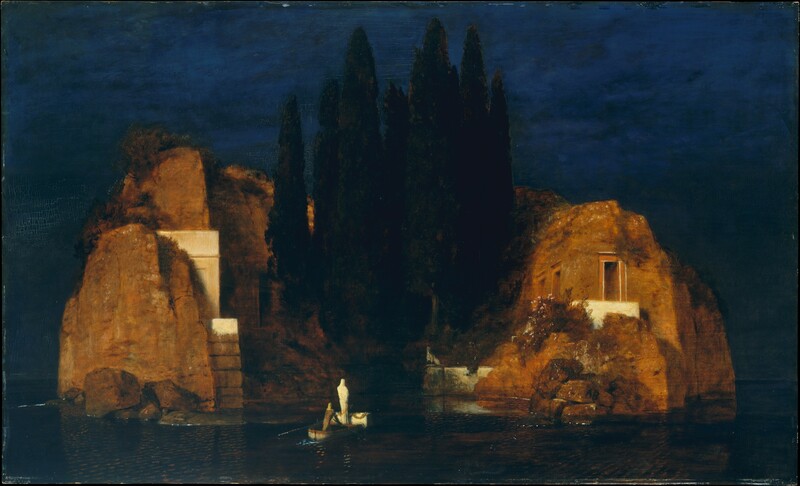 The bocklin inspiration is great. The sets are really fantastic. You really can show something similar on the prologue, on the mountains. It´s a gate of David´s temple. how they portray the Xeno. too much of the Xeno; is it just not that much of a threat and easily outsmarted/defeated; and/or does it just go against your idea of how the Xeno should look/behave? I think alien Isolation did it good and adult Xeno from Covenant it´s more like the CGI Aliens from AVP. Well then, you have certainly grounded my expectations for this film with that AvP comparison. I completely disagree with that. It was noticeably CG to my eye but it wasn't to the level of AvP's. Definitely looked better. Always the same with CGI, there is no such thing as perfect CGI but that doesn't stop everyone from expecting it. The cgi in this film will be as good as it can be with today's tech and while I wish more practical was used here, I am happy to at least move away from man-in-suit stuff. But it still looks really good, so it doesn't bother me that much.